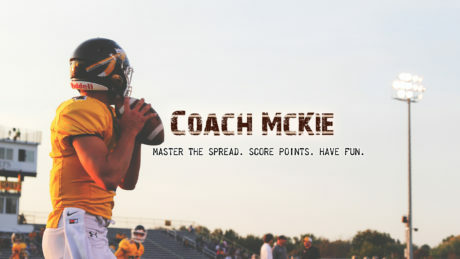 I’ve been listening to the Talking Football Podcast with Coach Ron McKie, Jr. for the last eight months or so, and he has a pretty interesting interview tactic of asking three questions to the subjects of his interviews. I’m stealing that, and I’m going to ask myself the same questions. What are you googling? I’ve been googling different ways to run the pin-and-pull. In case you don’t know, the pin-and-pull is a running play that Michigan has run various versions of over the years, including during the Rich Rodriguez and Jim Harbaugh years. Basically, uncovered linemen block down toward the ball, and covered linemen pull toward the playside. What are you watching? I’m watching Jack Ryan on Amazon Prime, most notably starring John Krasinski from The Office. It’s a lot like Homeland, another one of my favorite shows. What are you looking forward to? I’m looking forward to going to the gym. Seriously. When it’s football season, I don’t have a ton of time to work out. Now when I get a chance to lift weights and get some cardio in, I look forward to it. I played some basketball the other day for the first time since last summer, and it felt good. What are you guys googling? What are you watching? And what are you looking forward to? Watching — various things on Netflix, including catching up on Anthony Bourdain’s “Parts Unknown” series. That’s hit or miss — some episodes are compelling, others are not. The one on West Virginia was interesting: it was general fair and respectful of the people it profiled. I spend summers in West Virginia, so I know something of the culture portrayed in the episode. Googling — some Linux stuff … I’m climbing the Linux mountain. Looking Forward To — getting through the next two weeks of business travel. I keep going by Jack Ryan and don’t stop because it’s pretty hard for me to imagine John Krasinski in the role. I got a little sick and binge watched all six seasons of Justify in 8 days. I think I would have enjoyed it a lot more had I spread it out over some months. I kept getting mad at Boyd because every time he had put sufficient cash together to take a deep breath and work out some organizational issues, he would get all greedy and stupid and go rescrew up his life again. I like Boyd, but he’s a moron. I do think I’ll read fire In the Hole by Elmore Leonard which is the basis for the first episode. I honestly think John Krasinski is underrated as a serious actor. I thought the same after watching every episode of The Office but he’s surprised me in some roles. I had my concerns after “The Office,” too, but he was good in “13 Hours” so I was cool with him being Jack Ryan. Have you watched Bosch on amazon? Very good. Titus Welliver captures Hieronymous Bosch very well. Unlike Tom Cruise in Reacher. Highly recommend the books too. I haven’t started “Bosch” yet. I like to read at least one book before I start watching a TV series if it’s a book first, and I haven’t read one yet. I do like Titus Welliver. Thanks for the suggestion. Googling: Everything woodworking. I’m a fledgling woodworker. I turned 40 last year and I’m officially old. Woodworking seems to be a right of passage in my family when you get old and I’m really enjoying it so far. Watching: Vikings on the History Channel. It’s an interesting period piece and probably just good enough to keep me watching through to the end, Decent but not great. Looking forward to: I’ll agree with hitting the gym. I’ve been going 5 days a week my entire adult like except the last 6 months due to some nagging injuries and illnesses (further proof I’m old), so looking forward to being really sore for a couple weeks. Woodworking is profoundly satisfying. I don’t have the facilities at the present time to get back into it, but at one time I too was a fledgling woodworker. One day I will pick it back up. I’m 59, so perhaps in some number of years when I hang up the work thing I can do that. Watching: the GF & I just finished GoT. Not sure why I waited 7 years, but now we’re hooked!